Directed by Courtney Wetzel, the reading will be performed on Monday, February 29th, at 7 PM, at Goddard Riverside’s Bernie Wohl Center at 647 Columbus Ave, New York, NY. “It’s a play about secrets,” Wells said. Wells’ plays have been read and performed at Ensemble Studio Theatre in New York, The Magic Theatre in San Francisco, and the Tennessee Williams Literary Festival in New Orleans. His what-if play about Hamlet in his 50’s, Countrie Matters, was done at the great Plains Theatre Conference in Omaha in 2015; his ten-minute play Romeo & Rosaline, a comedy in rhymed couplets, was part of the 2015 Red Bull Theater Short New Play festival; and his 9/11 play, Beautiful Day, was part of this past January’s nuVoices Festival at Actors Theatre of Charlotte. The 29th Street Playwrights Collective is dedicated to developing the voices of emerging, mature playwrights through weekly craft discussions, and fostering new work for the stage through public readings and workshop performances of members’ works. Queen Mair is directed by Courtney Wetzel, and the cast includes Donna Jo Fuller as Queen Mair, with Coley Campany as Goneril, Desiree Maumusas Regan, Dea Julien as Cordelia, and Ronnie Norpel as the Nurse. 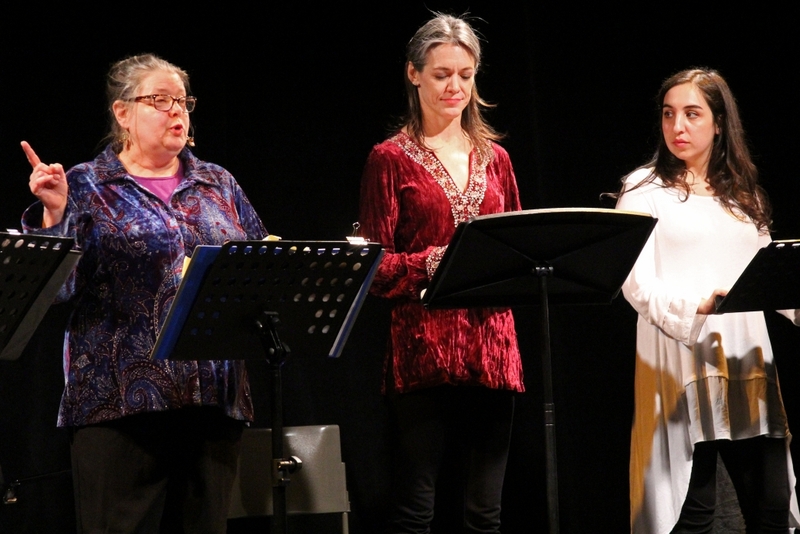 The reading, which is made possible by a grant from the Lower Manhattan CulturalCouncil, will be performed Monday, February 29, at 7PM, at Goddard Riverside’s Bernie Wohl Center at 647 Columbus Avenue (between 91st and 92nd Street). The reading is free of charge, and seating is available through Eventbrite.